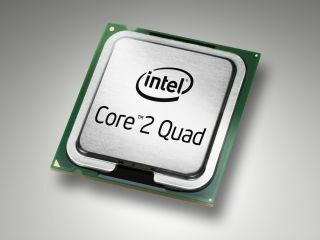 If dual-core computers are fast and quad-core machines even faster, then octo-core machines will approach the speed of light, right? Wrong. Supercomputer researchers at Sandia National Laboratories have found that increasing the number of processors cores on individual chips actually worsens performance for many complex applications. Sandia, whose Paragon device was the world's first parallel processing supercomputer, is a big player in the esoteric world of proto-exaflop computing. Researchers there created a simulation of the next generation of supercomputers, and found a significant increase in speed going from two to four multicores, but an insignificant increase from four to eight multicores. Exceeding eight multicores causes a decrease in speed. Sixteen multicores perform barely as well as two, and after that, a steep decline is registered as more cores are added. The problem is the lack of memory bandwidth as well as contention between processors over the memory bus available to each processor. "The difficulty is contention among modules," says James Peery, director of Sandia's Computations, Computers, Information and Mathematics Centre. "The cores are all asking for memory through the same pipe. It's like having one, two, four, or eight people all talking to you at the same time, saying, 'I want this information.' Then they have to wait until the answer to their request comes back. This causes delays." Multicore technologies have been considered a possible saviour of Moore's Law (the prediction that the number of transistors that can be placed inexpensively on an integrated circuit will double approximately every two years). Multicore systems grew in popularity after clock speeds (and thus power consumption) on single chips became high enough to generate awkward quantities of heat. This may be a problem affecting only supercomputers today, but unless researchers find a way around either the contention or the heat problems, the rapid advance in desktop computer processor technology could start to slow down, too.